You’ll see a list of all the places in this website where you can insert a video. Clicking the “View Portal Page” button will open another window where you can see exactly which page of your website is referenced. The Home Page is the most important page of your website. There are three places on your home page where you can put video content. You can put a large video in the left column of the page, or a smaller video on the right side of the page. You can also replace the rotating promotion box with a video. To insert a video into your website, click “Select,” then choose the video you want to put in that location. You can select one of the videos you’re already uploaded, or choose one of IDA’s stock videos. In the “Select video” window, you can view details about each video, see how long it is, and even watch the video itself. Select the video you want, then click “Save.” You’ll then see your selected video within the Control Panel. Click “View Portal Page” again to see how the video looks on your live website. If you’re not satisfied, just click the trash can icon to remove that video from your website. The video will still be available in your Video Library, but it will no longer be displayed in that location on your site. There are three places where you can put videos on your home page, but you don’t want to fill every spot. If you put video everywhere, your website will look cluttered and confusing. No one will know what to watch or where to click. The exact placement of your video may be slightly different in different website design templates. 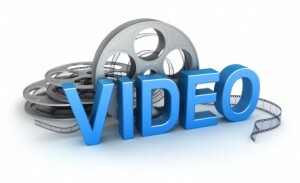 Which videos you use and where you put them will depend on your web design and marketing goals. Besides your home page, there are many other pages where you can add video: the Meet the Doctor page, the What We Offer page, the Appointments page, the Dental Info Center page, the Article pages, the dental market main page, the Smile Analysis page, the Financial Arrangements page, the Newsletter Sign-up page, the Employment Opportunities page, and the Post-Treatment instructions and article pages. Some of the stock videos in the IDA Library are designed for specific pages on your website. These videos quickly tell patients about what they can do on that particular web page, whether it’s the Financial Arrangements page, the Meet Our Doctors page, the What We Offer page, the Dental Articles and Info Center page… you get the idea. You yourself may want to record your own short videos for some of these pages. These slots can be filled with videos about the specific types of dentistry or dental products you offer. For example, dental veneers, implants, or sedation. You can use ready-made videos from the IDA Basic Library or Premium Subscription Library. You can embed relevant videos from YouTube or other video sharing sites. Or you can record your very own website videos. If your practice has multiple doctors, it’s a good idea to record an individual video of each doctor. In the “Doctors” section of the Control Panel, you can manage each doctor’s profile. If you click the “Edit” icon, you’ll see that the dentist’s profile includes space for a doctor video. This video will be shown on that dentist’s “Meet the Doctor” page. This should be a video of the individual doctor introducing him- or herself. This includes their background, clinical skills, accreditations, personal philosophy, and even mentioning their hobbies to give it that personal touch. This lets potential patients feel like they know the doctor, which makes them more likely to request an appointment. In “Insert Videos”, underneath “Customize Portals,” you can add video to the dental market pages. These are search engine optimized pages that offer more information on your primary and secondary dental markets like dental implants, family dentistry, cosmetics, dentures, etc. This is a great place for a video that tells patients more about that particular type of dentistry. Remember, after you add a video, click “View Portal Page” to preview it on your live website. Once you add one or more videos, the “Video Gallery” page will appear on your website, with a link to it on the home page of your website. Your videos, their titles and descriptions will be displayed on this page. It’s up to you what video content you want to display on this page. For example, some doctors use this space for dental patient video testimonials. You can uncheck the “Display on Portal” box in the top right to hide this page on your website. You can add a Home Page Feature to your website to increase the visibility of your Video Gallery. If you’re using that page for patient video testimonials, you might add a “Meet Our Patients” or “Video Testimonials” feature to your home page. If you’re not satisfied with how your videos look or play on your website, go to “My Videos” under “Photos, Videos & Files,” and check out the “Video Troubleshooting Guide.” On this page, you’ll also see any videos you’ve added to your library. Under “Video Libraries,” you can review IDA stock videos available to you.